There is a lot to do in Kensington, Brooklyn and new activities coming up all the time. Here we look at a couple of events that are slightly outside the box that locals can enjoy. The first one is a plant class. In a recent article by Rebecca Fishbein on ‘The 10 best spots for plant classes in NYC,’ Kensington’s “Twig Terrariums” was ranked in second place. Set up by good friends Michelle Inciarrano and Katy Maslow, the open studio and store offers a whole range of terrariums, DIY kits, pots and plants and unusual gifts. While there you can also learn how to set up your own plant and terrarium collection. All materials are provided for the workshops and one can also choose a romantic date night option there. The second is a venture set up back in 2014 by Eleanor Rodgers who, at the time hosted informal LEGO classes for her son and some friends at home. But after a while it developed into one of New York City’s really cool after-school programs. The program since then has joined up with the Wingspan Afterschool Program at PS130 and is now called the Rodgers’ Kensington LEGO Class. 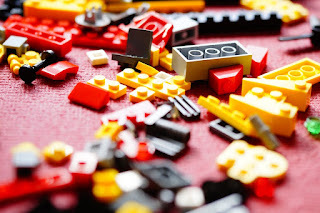 Featuring a STEM experience for little LEGO builders from Kindergarten to third grade. From third to fifth grade, kids can make their own LEGO movie through this venture too. Given that Kensington boasted the highest birth rate in New York City (in 2017) at 12 percent, this really is becoming a great place to set up kid-friendly businesses. Two days ago BK Style and Partners hosted a fundraising event for Projext Culture – Save the Muse Brooklyn. In celebration of Stevie’s BOI 100th Anniversary, the featured artist was C Boogie and the event took place at 350 Moffat Street. The creative community that comprises the Muse Brooklyn provides a common space for international artists, celebrating all forms of circus. circus can be used in a therapeutic background; for fitness; play and high quality entertainment. On 11th April, Fashion Week Brooklyn showcased five brands at 630 Flushing Avenue “regaling fashion enthusiasts with their diverse and inclusive display [in order to present] the diversity of talent, spaces, art and fashion.” one particularly outstanding show was Catherine Schuller’s Runway the Real Way (RTRW) and the entire event was an opportunity for the public at large to connect to a variety of fashions and brands. Is this Brooklyn’s Most Legendary Pizza? Check it out for yourself on thisvideo. Lucali - located at 575 Henry Street – is “arguably the most famous pizza in Brooklyn.” Here, INSIDER’s Herrine Ro takes a look at Marc Lacano’s eatery.